Those born between January 30, 1968 and February 16, 1969 are members of the Earth Monkey Chinese Zodiac sign. The MONKEYS are mischievous, vain, and clever. Their most prized traits are originality, creativity, and education. People adore Monkeys for their wit, high intelligence, and interest in world affairs. Older and wiser Monkeys are able to channel their energetic and rich imaginations into the solving of complex problems. Monkeys people can succeed in professions such as business, trade, law, stocks, industry and politics. 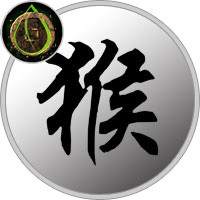 Under the grounding influence of the Earth Element, the Earth Monkey becomes the most moderate and serious of the Monkey signs. Unlike other members types, the Earth Monkey allows compassion, conventional thinking and a caring attitude to dominant their lives. The Earth Monkey is capable of controlling their emotions and have a special ability to rise above distractions. Not sharing in the mischievous qualities of their sign, the Earth Monkey is known for being honest and dependable. With a genuine concern for others and personal ambition, the Earth Monkey has the potential to contribute great things to society. Both ambitious and prudent, there are many potential careers for the Earth Monkey to explore. By embracing their concern for people, the Earth Monkey could do well in medicine, teaching, communications and human relations. Similarly, the fiscal sense of the Earth Monkey could do well in business, advertising or public relations. Those born under the Earth Monkey sign have been known to find success in performance or acting. This can be seen in the careers of Will Smith and Hugh Jackman, who were both born in 1968. The strengths of the Earth Monkey are numerous, but the sign also comes with a few negative qualities. The Earth Monkey can be overly cautious and practical at times. As a result, the Earth Monkey is known to miss out on exciting, worthwhile opportunities. In order to overcome this tendency, the Earth Monkey is encouraged to allow some leeway from their rigid standards and ideals. When it comes to relationships, Monkeys aren’t quick to settle down. In fact, they generally are promiscuous; a tendency that probably has to do with the fact that Monkeys are easily bored. Monkeys will end this type of behavior once they pair up with the perfect partner. In fact, more often than not, they’ll commit to that person in every way for life. Always the community activists, Earth Monkeys have an inherent desire to live life the “right” way. They’re very dependable and they take their work and their relationships seriously. In fact, they put forth 100% effort in everything they do. In return, Earth Monkeys expect respect from others.